Shortly before my son was born I started making a set of alphabet blocks decorated with things that his mother and I were looking forward to sharing with him. Then he was born. Apparently, shop time is hard to come by when you’re caring for an infant. Who knew? Now, coming up on his first birthday, I’ve finally finished them. 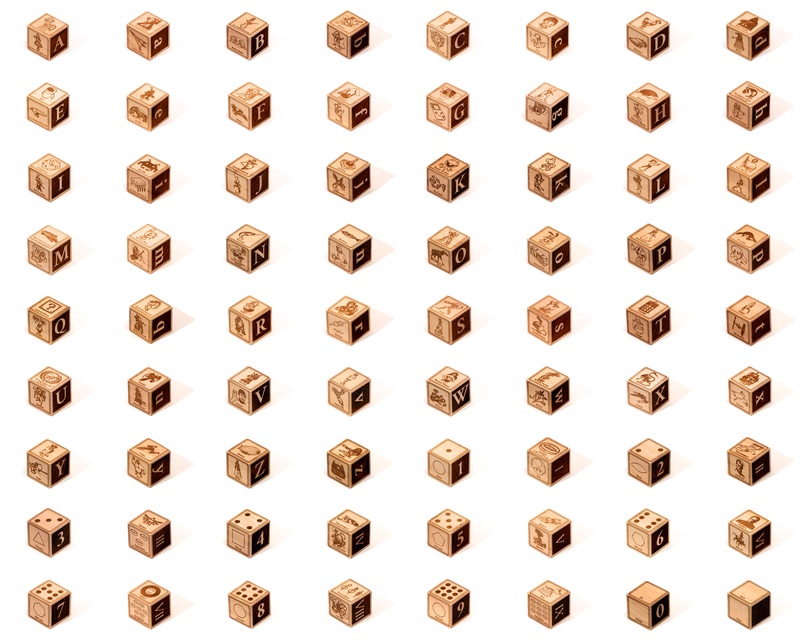 There are 36 blocks — the English alphabet and ten digits — showing 134 images of people, animals, monsters, robots, vehicles, organizations, devices, tools, and objects from some of our favourite movies, TV shows, books, comics, video games, poems, and sculptures, as well as a few from the real world for good measure (and a couple not-so-favourites for comic relief/alphabetical exigency; I’m looking at you, Zardoz). The only real rule I followed in choosing subjects was trying to maintain an even gender balance. For more information (including the full list of images) visit the project page. For close-ups of the individual blocks please visit this Flickr set or download the contact sheet (6.1MB JPEG). 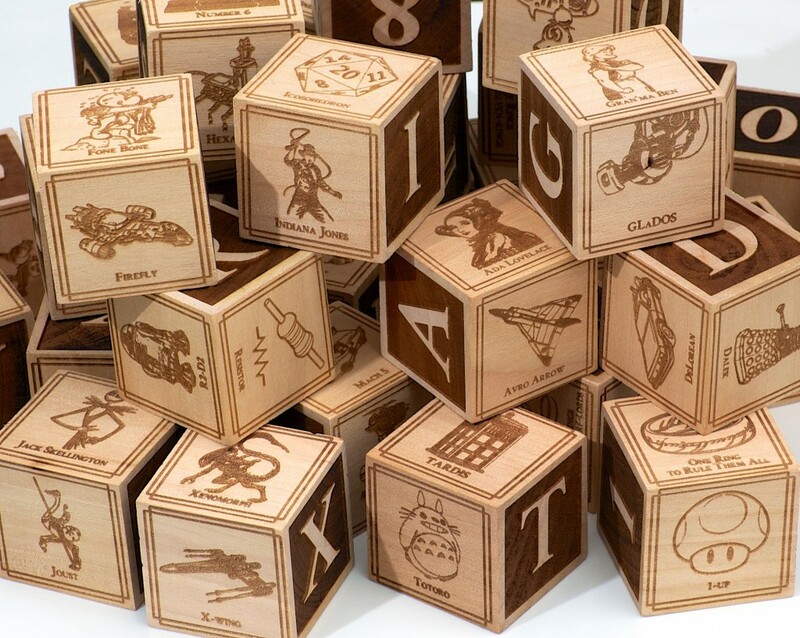 I would like to purchase a set of those blocks. I am both a nerd and the father of soon-to-be-block-wielding three month old twin boys. I require awesome blocks. Thoughts on production or place to buy? Thanks! For both practical and legal reasons (e.g. I don’t have licensing rights for all the characters, and I would never be able to get them), I can essentially guarantee that I will never be able to sell these. My advice is to find a hackerspace with a laser (there are at least two in Toronto!) and make their own! Congratulations on the twins, and good luck!